One of the things that separates football from the rest of the sports is the physicality of it. Football is a sport that demands young men be willing to undergo physical confrontations with other players who are many times much bigger than them. When this is done in a controlled setting to minimize the risk of injury, this is one of the best parts of the sport. In football, kids are forced to go against something that they are scared or intimidated by. 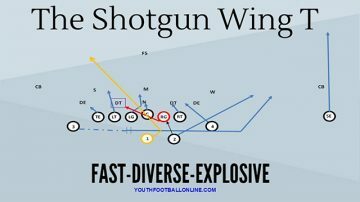 And anyone who has ever been the over-matched kid in a tackling drill will tell you, as long as you go low and use proper technique, you can take down anyone. I think in this one moment boys develop into young men and learn skills that will help them throughout their life. There are going to be times in a young man’s life where he is going to come head to head with something, or someone, that intimidates him. Sometimes this will be a boss, sometimes this will be a job or interview, other times it will be a situation where he has to go against the peer group he is with. I truly believe that in these moments it’s the character that he has developed in football that allows them to be successful. The other part that I love about football is that nothing is guaranteed. In the same moment I remember following my coaches advice and taking down the biggest player on the team in a tackling drill, I also remember the times where I failed. Even when I did everything my coaches asked, sometimes I just wasn’t good enough. In that moment, I learned a lesson that I still carry with me to this day. This lesson is summed up in one word, yet. Learning to add the simple word “yet” to the end of any situation is the best way I have found to reframe failure into a chance for growth. Failure is going to happen, that’s one of the guarantees in life. The true growth doesn’t come from winning a contest, it comes from losing a contest and growing from the experience. In football you are guaranteed to experience these failures and defeats. The great part about football is that because each play is separate from the one before and after it, you have another chance to do better. My time playing football has been one of the most critical aspects in the development of my identity. This isn’t because I was an elite athlete who gained fame (I was far from good, let alone elite). Football developed my identity because it taught me to have a goal and to go after it. And most important, it taught me that it’s ok if I don’t achieve those goals, yet.